Adolf Hitler had been the target of four assassi­na­tion attempts before he became head of state in January 1933 and perhaps two dozen after­wards. 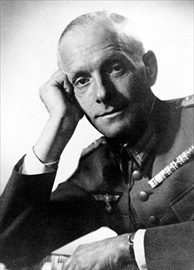 On this date in 1944 Lt. Col. Claus von Stauf­fen­berg arrived at the Berg­hof on the Ober­salzberg, Hitler’s Bava­rian retreat near Berch­tes­gaden, carrying a bomb in his brief­case. 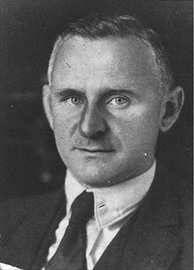 Stauf­fen­berg was part of a resis­tance group in the highest levels of the Wehr­macht that had been planning Hitler’s assas­si­nation since at least 1938. 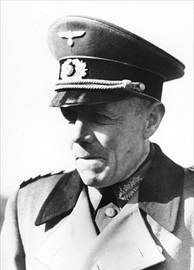 Because the second-most power­ful man in the Third Reich, Hein­rich Himm­ler, Gestapo chief and Minis­ter of the Inte­rior from 1943, was absent that day, the plan was aborted. The plotters worried about a “civil war” breaking out between the power­ful police ser­vices under Himm­ler and the Wehr­macht if both men could not be killed at the same time. Four days later Stauf­fen­berg reappeared in Ras­ten­burg at the “Wolf’s Lair,” Wolfs­schanze, Hitler’s East Prus­sian head­quarters (now in Kętrzyn, Poland). Again the plan was nixed because Himm­ler was not pre­sent. Finally, on July 20, 1944, a hot and humid sum­mer day, an exas­per­ated Stauf­fen­berg crossed the Rubi­con and planted a power­ful bomb under a marble-topped map table in a wood-frame con­fer­ence room at the Wolf’s Lair. The explo­sion had the unin­tended con­se­quence of killing thou­sands of people. By a quirk of furni­ture design, the “legs” at each end of the long table were one con­tin­uous piece of wood running width­wise from table edge to table edge; thus, the bomb blast was deflected away from its in­tended target standing to the other side of the single sup­port. The explo­sion killed seve­ral indivi­duals. But Hitler, his uni­form in tatters, miracu­lously sur­vived, sus­taining an in­jury to his arm and ear­drums. (Hitler shipped his ruined uni­form to his girl­friend and future wife, Eva Braun, as a me­men­to.) The deto­na­tion was the start of Opera­tion Wal­küre (Val­kyrie), the code­name for the mili­tary coup that began taking shape in Ber­lin upon Stauffen­berg’s return flight to the capi­tal. There the con­spir­a­tors briefly believed their water­tight plans to kill Hitler had suc­ceeded. At 1 a.m. the next morning, Hitler ad­dressed the nation by radio, telling his lis­teners that his sur­vi­val was a provi­den­tial sign that he must surely con­tinue in his role as Germany’s Fuehrer (leader). 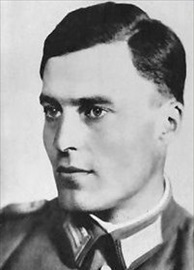 Left: Lt. Col. Claus von Stauffenberg (November 15, 1907–July 21, 1944) was a 36-year-old Ger­man army offi­cer and aristo­crat who, along with Gen. Henning von Tresc­kow and Gen. Hans Oster, was a leading mem­ber of the failed July 20, 1944, plot to assas­si­nate Hitler and remove the Nazi Party from power. For his in­volve­ment Stauf­fen­berg was shot shortly after the failed attempt known as Operation Valkyrie. Middle: Four-star general Herrmann “Henning” von Tresc­kow (Janu­ary 10, 1901–July 21, 1944) helped orga­nize resis­tance within the Wehr­macht against Hitler. 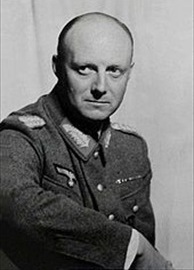 He attempted to assas­si­nate Hitler in March 1943, and he drafted the Val­kyrie plan. On learning of the failure of the July 20 plot, he com­mitted sui­cide on the Eastern Front. Right: Gen. Hans Oster (August 9, 1887–April 9, 1945) was deputy head of the Ab­wehr (Ger­man mili­tary intel­li­gence) under Adm. Wil­helm Cana­ris and a leading figure in the Ger­man resis­tance move­ment from 1938 to 1943. Oster’s Ab­wehr group sup­plied British-made bombs to Tresc­kow’s group in their vari­ous bids to kill Hitler in 1943. Oster was exe­cuted on the same day Cana­ris was exe­cuted at Flossen­buerg prison in Bavaria. Left: Col. Gen. Ludwig Beck (June 29, 1880–July 20, 1944) was Chief of the Ger­man Gene­ral Staff during the early years of the Nazi regime. In 1943 Beck planned two abor­tive attempts to kill Hitler using a bomb. 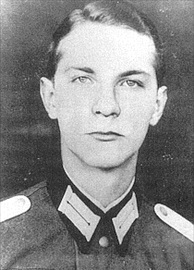 In 1944 he was one of the driving forces of the July 20 plot with Stauf­fen­berg and Carl Goer­deler. Beck was tapped to head the pro­vi­sional Ger­man govern­ment that would assume power after Hitler had been killed. Middle: Carl Friedrich Goerdeler (July 31, 1884–Febru­ary 2, 1945) was a con­ser­va­tive poli­ti­cian, the ex-mayor of Leip­zig. He was an execu­tive, eco­no­mist, civil ser­vant, and oppo­nent of the Nazi regime. Had the July 20 plot suc­ceeded, Goer­deler would have been named chan­cellor in the new govern­ment. Right: With his father’s blessing, 22-year-old Ewald-Hein­rich von Kleist-Schmen­zin (July 10, 1922–March 8, 2013) unsuc­cess­fully attempted a sui­cidal assas­si­na­tion against Hitler in Janu­ary 1944 at the Wolf’s Lair. After the failure of July 20 plot, he managed to cover up his resis­tance acti­v­ities. Many of his fellow plotters, including his father, were brought before Roland Freis­ler’s kangaroo People’s Court in Berlin and sent­enced to death.